So when you go to Disney World you can some free things. It's not really free though, more included in the price. But I thought I would show some of them to you. 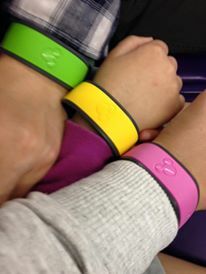 When we first checked in we got our magic bands and three cute luggage tags that go with our magic bands. I haven't used the tags and I am pretty sure that I won't use them, but it's a nice touch. We also got our cups that you can fill up in the hotel for free with coke, water etc, and take them to the parks. But we didn't do that as I would have ended up carrying them around. But we did use them when we were in the hotel pool. I filled mine up with Hot Coco most nights and took it back to our room. I am not sure if I was allowed to but I saw other people doing it. Now for inside our Hotel room. You get soaps to use, small body wash and shampoo. We didn't ended up using all of them as I brought my own things with me but I did bring them home to look nice in my bathroom and have a little Disney touch. Now on to the rides. When you go on Belles Enchanted Tales, if you have your photo taken with her you get a bookmarks, so Little One got one for taking part but I also wanted to get my photo taken with her. So I did and got given two more bookmarks and we all ended up with one. The best freebie of all was our $100 gift card. We spent it on some gifts for us to take home and remember the holiday by. 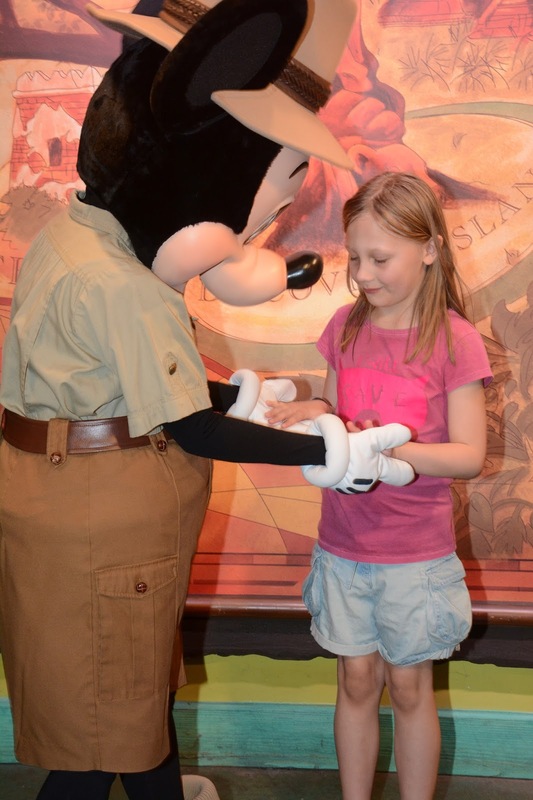 The last thing is the photo pass, it came with our package for the holiday and this is one that I loved. I loved getting all the photos done by each of the main things in each park. Like outside the castle and outside of the tree of life in Animal Kingdom. They got some magical shots that I couldn't get like Little Miss P's face when she see's each character.